Kok Hwee first came into contact with ceramic pottery in 1989 and has never turned back. He has a Certificate in sculpture from Nanyang Academy of Fine Arts (NAFA). His works have gone on show in many art exhibitions, and many pieces have been sold not only to local but also to international collectors. Committed and enthusiastic in the local art scene, he is actively imparting the magic of pottery to many ever-eager-to-learn students. 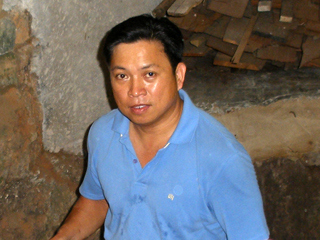 Kok Hwee works on various ceramic forms, but his main interest lies with pottery pieces, transforming a slab of plain clay into a piece of pottery art.